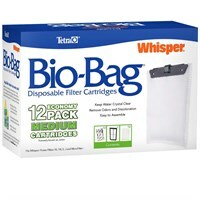 Whisper Assembled Bio-Bag Cartridge Large (3 Pack) For the ultimate in convenience, choose Assembled Whisper Bio-Bag Cartridges. 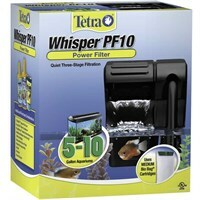 Like the Ready-to-Assemble, the packages are color-coded, making it easier than ever to remember which size to purchase. 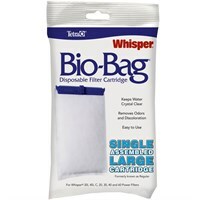 Whisper Assembled Bio-Bag Cartridge Large (Single) For the ultimate in convenience, choose Assembled Whisper Bio-Bag Cartridges. Like the Ready-to-Assemble, the packages are color-coded, making it easier than ever to remember which size to purchase. 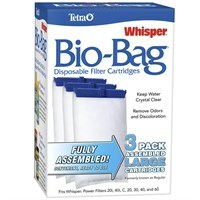 Whisper Assembled Bio-Bag Cartridge Medium (3 Pack) For the ultimate in convenience, choose Assembled Whisper Bio-Bag Cartridges. Like the Ready-to-Assemble, the packages are color-coded, making it easier than ever to remember which size to purchase. 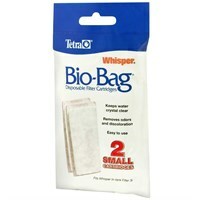 Whisper Assembled Bio-Bag Cartridge Small (2 Pack) For the ultimate in convenience, choose Assembled Whisper Bio-Bag Cartridges. Like the Ready-to-Assemble, the packages are color-coded, making it easier than ever to remember which size to purchase. 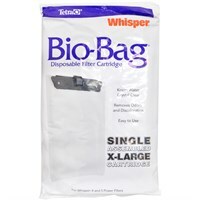 Whisper Assembled Bio-Bag Cartridge X-Large (Single) For the ultimate in convenience, choose Assembled Whisper Bio-Bag Cartridges. Like the Ready-to-Assemble, the packages are color-coded, making it easier than ever to remember which size to purchase.